The 2017 Canadian auto show in Toronto is currently underway and one of the world premieres is the 2018 Hyundai Accent. Its debut follows last week’s unveiling of the 2018 Elantra GT at the 2017 Chicago auto show and signals the Korean automaker’s determination to revamp its compact lineup. The fifth-generation model will once again be offered in sedan and hatchback body styles. The sedan reaches showrooms in the third quarter of the year while the hatch arrives in the fourth quarter. 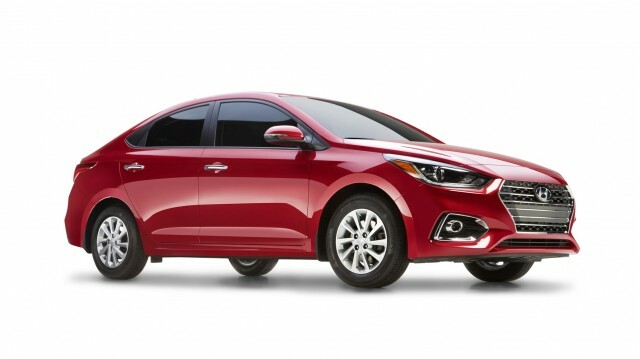 The designers have adopted the handsome look of the larger Elantra for the latest Accent, including almost identical treatments for the lights and grille. The car is also a bit longer and wider than the outgoing model. Under the hood is a 1.6-liter inline-4 that delivers 132 horsepower and 119 pound-feet of torque, and this engine can be mated to either a 6-speed manual or 6-speed automatic. Power is down by a few horses compared to engine in the outgoing model, though the new unit benefits from a 7 percent improvement in efficiency. Drive is to the front wheels only.